I think its safe to say that sleep is the one thing most of us don’t get enough of. With that being the case, don’t you think you should ask yourself what you’re doing to ensure that you’re getting enough high quality sleep? This questions should be amplified tenfold especially if you’re training, working out, or trying to lose weight. Growing up, I was spoiled when it came to my bed and nightly sleep set up. My saint of a mother made sure that we had the most comfortable beds, pillows, and even went as far as ironing our sheets for that unbelievably crisp hotel feel when you would crawl in. She’s crazy, I know. For me, finding that feeling of ahhhhhh combined with the deep recovery sleep I know I need is something I hold at a high standard. There’s no way in hell you’ll catch me ironing my sheets, but believe you me I will always search for the best possible bed, pillows, and bedding out there to make sure I am recovered and ready to tackle the next day ahead. 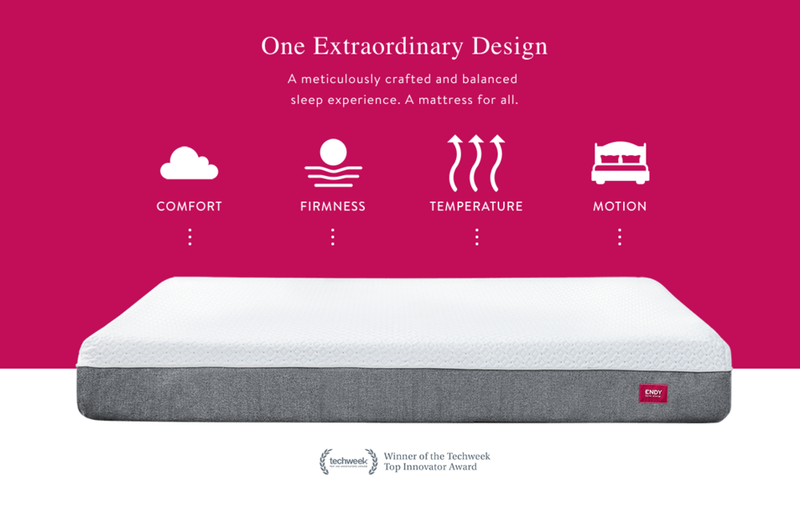 I have officially spent 100 nights sleeping on my Canadian made Endy mattress and I must say, it’s about as close as I can come to finding that mom made feeling of home and luxury combined with the restful night sleep I need to recover. Both the bed itself, and the bedding that came with it, have exceeded my expectations in terms or quality and comfort. The best way I can describe this mattress is that it is similar to memory foam without actually being foamy. 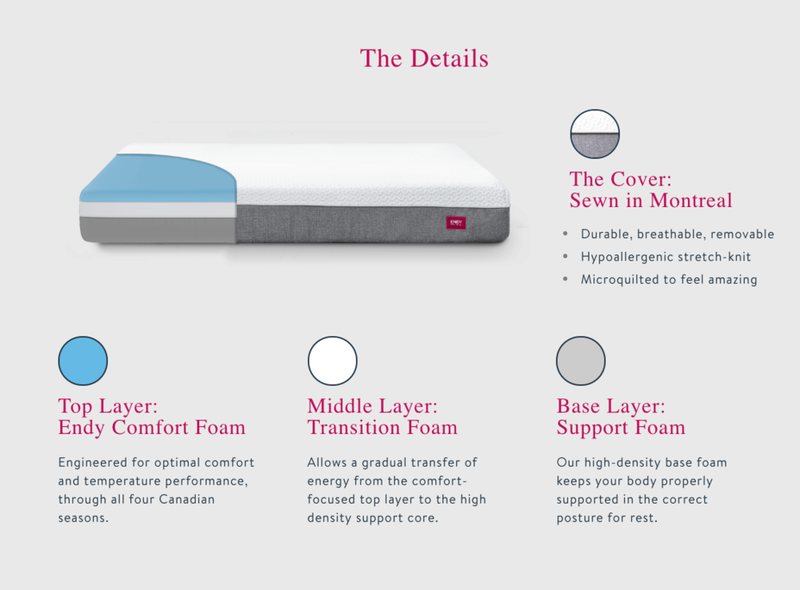 It's made from a proprietary foam that is temperature insensitive unlike memory foam so it doesn’t get hot like memory foam can. There is little to no weight transfer or movement from person to person and it has this form fitting support that feels like it was custom built for your shape. I am being 100% honest when I say that I have not had a restless sleep on this bed since I got it. Officially mind blowing. 2. Ships to your door in a box and expands once you unroll it. Perfect for getting to a third floor loft or tricky space. 3. Little to no weight transfer between people. 4. The pillows can be adjusted by removing or adding handfuls of shredded bamboo memory foam. It's really a pillow that suits all needs. The science of sleep is no joke, and neither is my Endy mattress. 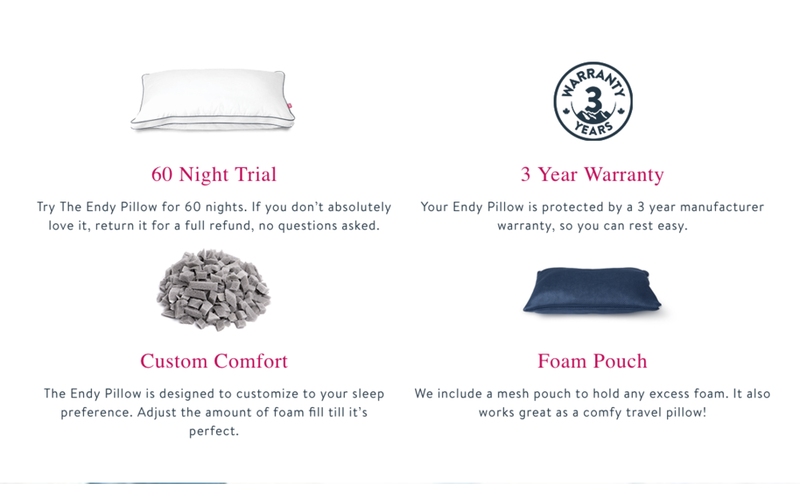 The amazing team at Endy has given me a code for you to use if you’re in search of your next mattress, bedding, and/or pillow set. Simply use LAURADAVIDSON50 at checkout to receive $50 off your next order!